Location of plutonium in the periodic table. The first samples of element 94, plutonium, were produced in 1940 in an American laboratory. One of 11 'transuranium' elements that have now definitely been synthesized, it is used as a fuel in some types of nuclear reactors. Plutonium (Pu) is a radioactive, silvery, metallic element, occurring in uranium ores and produced artificially by neutron bombardment of uranium. Plutonium has 15 isotopes with masses ranging from 232 to 246 and half-lives from 20 minutes to 76 million years. Plutonium is a radiological poison, specifically absorbed by bone marrow, and is used, especially the highly fissionable isotope plutonium-239, as a nuclear fuel. 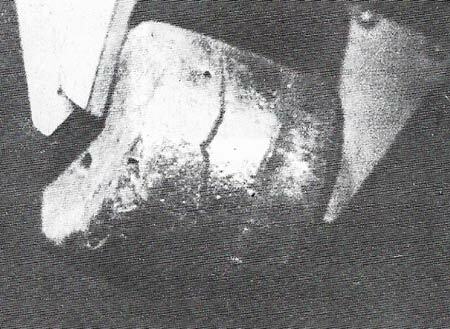 Plutonium was discovered in 1940 by the American researchers Seaborg, McMillan, Wahl, and Kennedy as the second transuranium element upon bombardment of uranium-238 with deuterons, thus forming Pu-238. The elements 93 and 94 following the 92nd element – uranium – in the classification of elements have been named analogously to uranium, which is named after the planet Uranus, 'neptunium' and 'plutonium', the planets Neptune and Pluto following Uranus. U-238 + n → U-239 → β-decay → Np-239 → β-decay → Pu-239. In nature, plutonium-239 occurs in tiny quantities in minerals containing uranium (pitchblende, carnotite) – one plutonium atom per 1 trillion and more uranium atoms. It is formed from U-238 by neutron capture released upon the spontaneous fission of U-238. In above-ground nuclear weapon tests, approximately six tonnes of Pu-239 were released into the atmosphere and distributed all over the world, so that in Central Europe for example, about 60 Bq Pu-239 per m2 have been deposited. Plutonium is a radiotoxic substance and its chemical toxicity as a heavy metal is therefore negligible. The radiotoxic effect of plutonium is very serious in the case of inhalation of the finest plutonium aerosols; ingestion of plutonium is about 10,000 times less dangerous, since only 1/100 percent of plutonium is absorbed by the intestinal mucosa, 99.99% is excreted immediately.